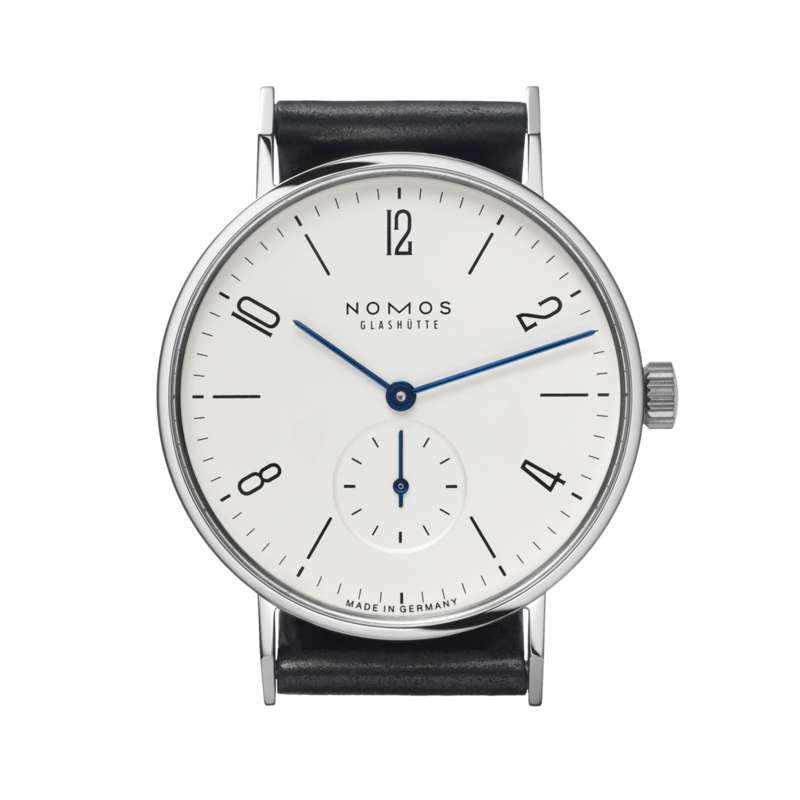 The Nomos Tangente, born to repel pen attacks. 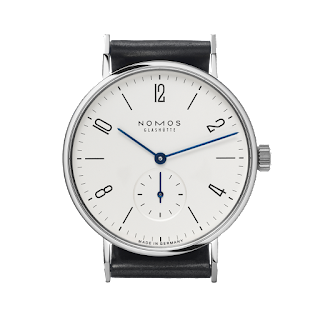 On a recent flight I wore my just bought Nomos Tangente. As the flight attendant asked me what I wanted for dinner, her pen hovered precariously close to my two-day-old Nomos, like a sharp icicle waiting to be released by the encroaching spring sunshine. I didn't want to test the sapphire crystal's strength. I didn't want a blue streak added to the leather band. I didn't want to cry. But I felt like the future was rushing toward me, faster than the jet was moving, and there was nothing I could do to stop it. The inevitable happened. The pen made contact, but it was contact with my shirt, just a fraction of an inch from where my watch was. My shirt sleeve now has a permanent memory of that United flight, but my Nomos was spared. Flash forward three weeks. I have a new cat. 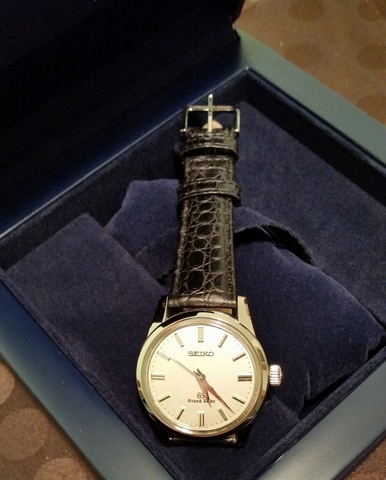 I have another new watch. You can probably guess where this story is heading. I put my Christopher Ward Trident, freshly shipped from the United Kingdom to Japan, on a high shelf on my bookcase, figuring it was out of my cat's jumping range. I was wrong. My cat, apparently attracted to fine watches, reached the shelf, about four feet off the ground, in a single leap, and slipped on the soft, protective cloth on which my watch, with its beautiful burgundy bezel, guilloche wave pattern watch face, and steel band, was resting. My watch flew into the air, like the bird that my cat thought it was. A blur of fur. Then, thunk. But—and I've never had this kind of thing happen to me before—my watch landed on the floor steel band side down. It was completely uninjured. Band side down. Unbelievable. I'm ready to wear a Harry Winston tourbillon while rock climbing.